At the heart of one of the most densely populated areas of Europe, in a country where every square meter of land has been meticulously shaped by man, lie the Oostvaardersplassen – a unique experiment in letting nature run its course. In just 40 years, 6,000 hectares of newly formed polder has been transformed into one of Europe’s most dynamic and productive wetlands – home to some of Europe’s rarest birds such as the magnificent white tailed eagle, which hadn’t been seen in the Netherlands since the Middle Ages. Three years in production and with more than 600 shooting days in the field, The New Wilderness is a spectacle, an ode, a visual tone poem, celebrating the wildness, stark beauty and sheer majesty of a unique natural monument. 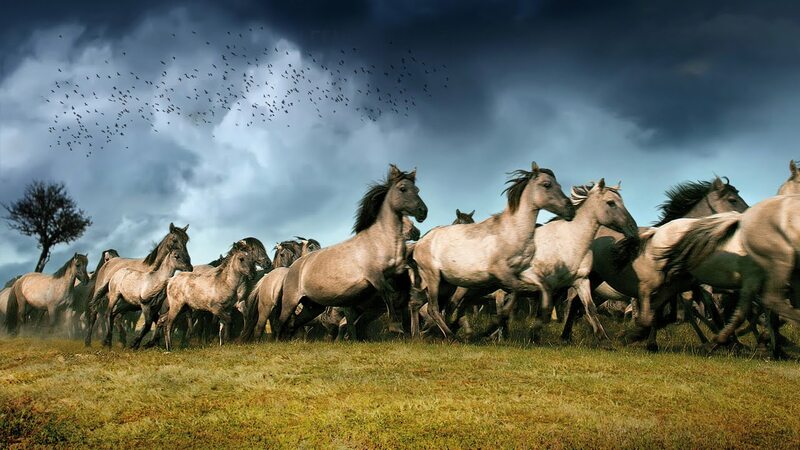 Shot in 4K cinemascope, the film charts the cycle of life through the course of four seasons, from birth through death to new life, forging a direct sensory and emotional connection with this thriving wetland and the many wild creatures that have made it their home – including 1,200 Koniks, that make up the largest herd of wild horses in Europe. The Oostvaardersplassen have become an internationally recognized symbol of Nature’s dynamism and resilience, all the more remarkable when you consider its position: 15 feet below sea-level and just 20 miles from Amsterdam. The New Wilderness challenges the old concepts of nature and wilderness. The bounty found here emerged in 40 short years, because it was given the space to do so. The New Wilderness highlights the enormous resilience and creative drive of nature in the raw. It shows what is lost need not be lost forever. Using the latest techniques in time-lapse, underwater, underground, aerial and macro photography, The New Wilderness is an important educational resource and eye opener – leaving the viewers in awe and teaching them new facts about nature in Europe.